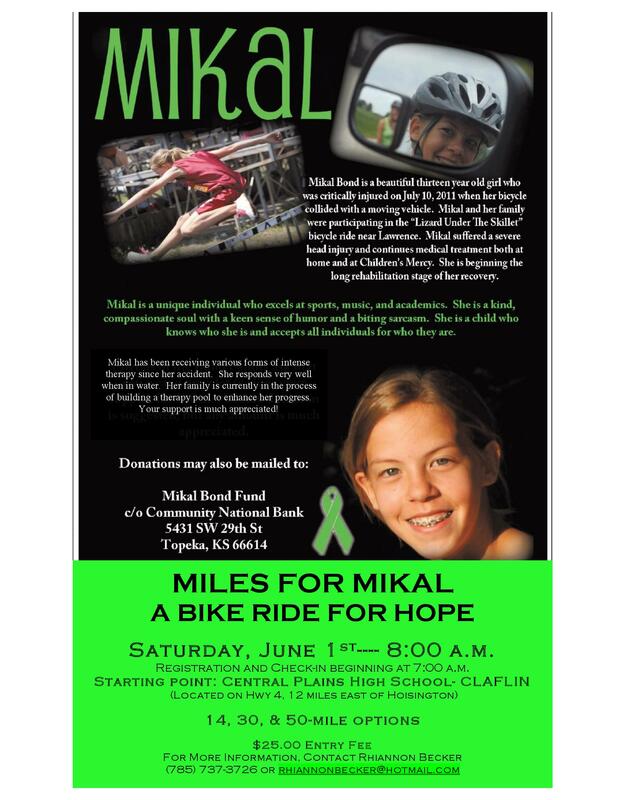 Miles for Mikal is a benefit ride that takes place in Claflin, Kansas for Mikal Bond, a teenage girl who was critically injured in a biking accident. Mikal has undergone intense therapy and has made considerable gains since the accident. This ride will help fund a therapy pool and other therapy to enhance her progress. Miles for Mikal begins at Central Plains High School in Clafin, which is located on Highway 4, about 12 miles east of Hoisington. There are 14, 30, and 50-mile route options. For more information about the event, contact Rhiannon Becker at rhiannonbecker@hotmail.com or 785-737-3726. 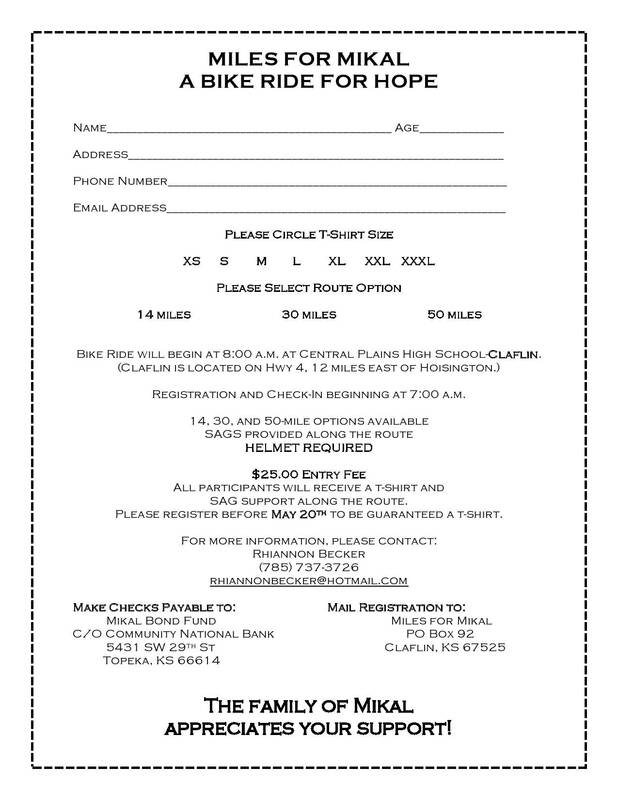 06-01-2013 Miles for Mikal - A benefit ride that takes place in Claflin, Kansas to help support a young girl critically injured in a bicycling accident. 14, 30, and 50-mile route options.